The BSA Pharmacy Department has welcomed the new spring season with a bit of a makeover. They proudly launched a new inventory management system that improved efficiency by more than 100%. The Pyxis Pharmogistics™ pharmacy carousel is an advanced medication storage and retrieval system that, through automation, reduces labor and space requirements when compared to static shelving. This system provides BSA with a perpetual inventory, gives pharmacy technicians a specified workflow, increases pharmacy efficiency and in turn, gets medications to patients faster. Because of Pharmogistics, BSA Pharmacy staff is also able to do more clinical pharmacy services, including communicating with patients about the medication they are taking. As a result, it increases the face time nurses have with patients. The new inventory management system will integrate into a bigger project called Epic coming to BSA later this year. Epic will provide BSA's caregivers with a single, stronger patient information system that will help streamline work. 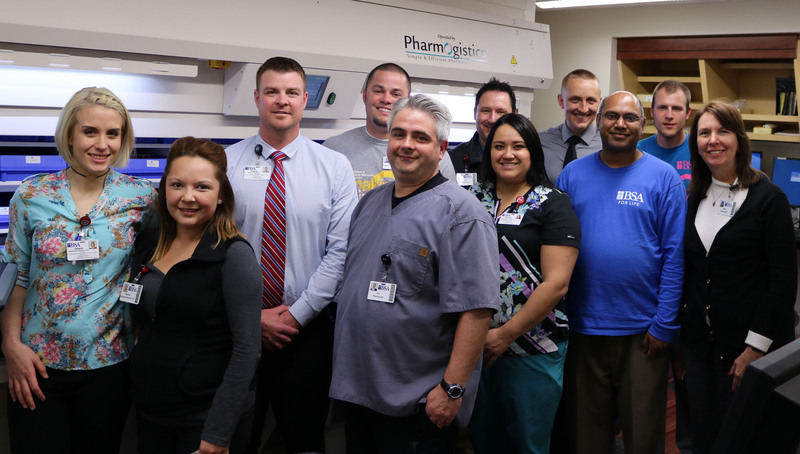 “All of us in the Pharmacy Department are really excited for the changes happening at BSA and we’re ready to see what great things our new technology and Epic will bring,” Lawler said.